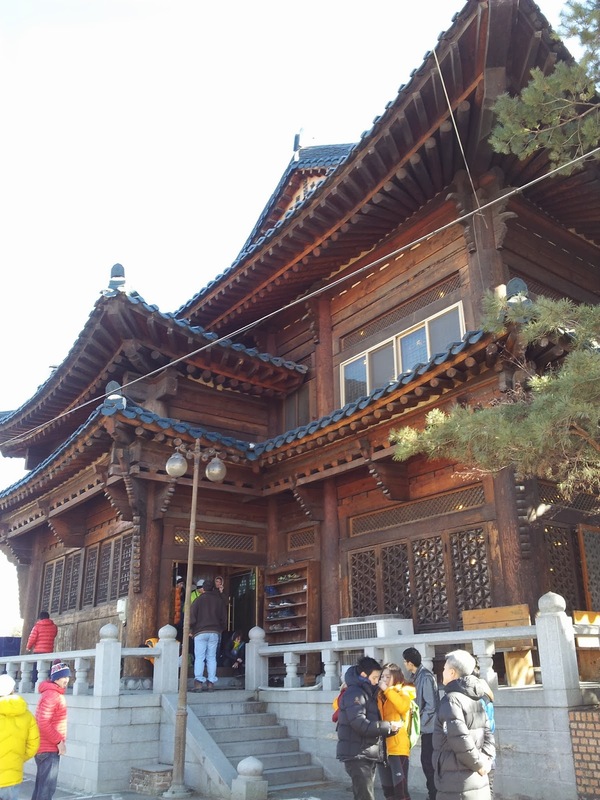 After arriving to Cheongsong, licensing and registration are the first order of business. 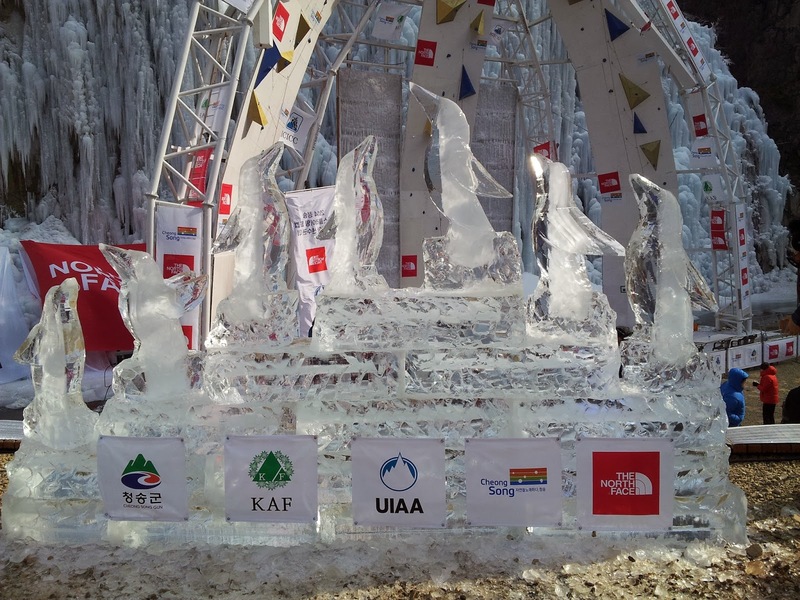 All competitors are required to have a UIAA license for competition, once you have the license its good for the year. Each competition has its own registration that must be completed before competing. After registration there is the opening ceremony. 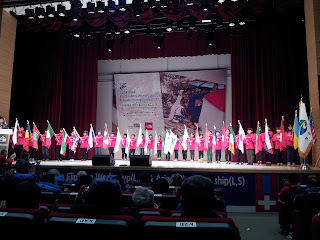 The opening ceremony had several different acts. It started with a Korean Yodeler, very different. 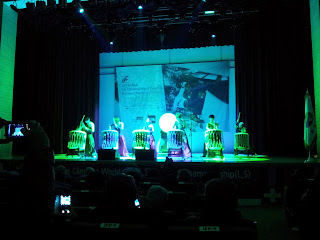 The Highlight act of the ceremony was the Korean drummers. The drumming is used in this short video. Flags from all the countries competing. Competition day starts early and ends late. Its a 45min bus ride on a twisting road to get to the structure. Upon arriving we go into the isolation area and wait to be called out for route preview. 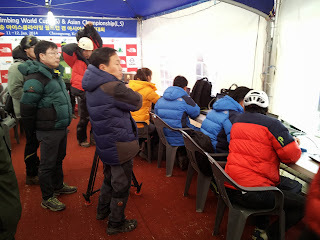 We are allowed to look at the route for the length of time we have to climb the route, usually 7 min for preliminaries. After preview we go back to isolation and wait for our turn to climb. Last year the routes in Korea started on ice. 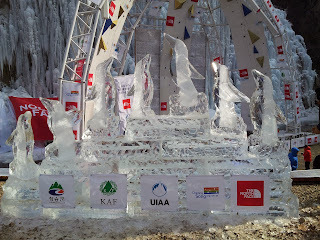 This year that wasn't possible as it had been too warm and they were unable to make the ice form on the wall. What was the same as last year, and for most venues, there are two men's routes. The men are divided into groups and 1&2/or A&B and they climb the route that they are assigned. 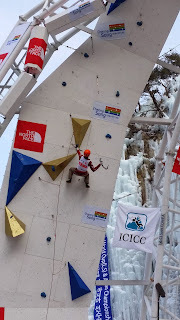 I was assigned route 1 which was on the left hand side of the wall, the same as I climbed last year. I felt that last year one of my big problems was that I rushed and fell off early in some of the comps. One of my goals was to not climb rushed. Starting with leaving isolation I made it a point to not worry about the time. Last year when I would leave isolation I always had a felling that I had to move fast. Get to the route fast, tie in fast, and climb fast. While moving efficiently is important, just going fast leads to mistakes. This year as well as having cameras on the ground and on the wall they had radio controlled drones flying around. Climbing the route I felt pretty good. 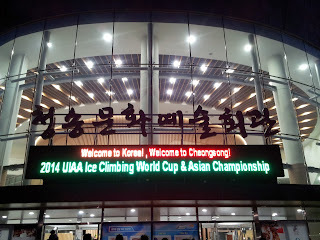 At the preview the route looked very difficult and I was worried that it might be really hard. Once I started climbing the holds were a lot better than they looked from the ground. As I climbed I tried to think about how to best do each move before doing it. I think I did okay for the most part. There was one move that I really stalled route on. the hold was facing sideways and it was a long way to the next one. I wanted to lung for it, but I figured there was just one small area that was good which you couldn't see, meaning I had to reach way up and be in control when I hooked the next hold. After watching others climb the route I saw a better way that I could have done the move and possibly made it easier. It felt like the time passed very quickly. I heard the one minute warning and kicked it into high gear as I was still pretty low on the wall. I was able to climb quite a ways before the clock ran out, but in the end I was a couple moves short of making semi finals. Over all I'm fairly happy with how I climbed. This was the first time in IWC for me that I haven't fallen off before the time ran out. Now I need to work on reading the route better from the ground so I can move more efficiently while climbing. In hindsight there where clues that were visible from the ground about the route that I had missed. 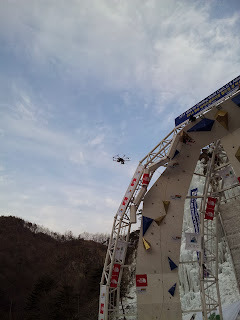 Unfortunately it takes practice to read the routes from the ground and that is something that I can't work on at home. 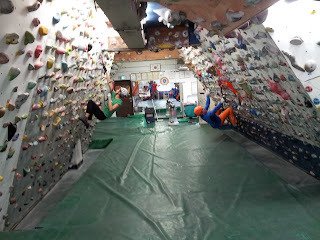 I also did speed climbing on Sunday. Because it had been so warm the ice was not very good so they didn't let us practice very much. We were supposed to have two practice runs. On my first run both tools ripped out of the ice right after leaving the ground and I fell off. They didn't let me get back on. The second practice run went okay and I got to the top. 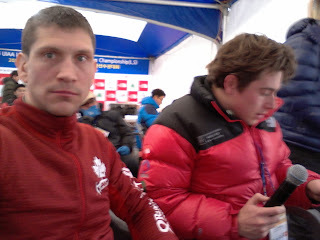 In the prelim round I fell of the the 1st route about 3-4 meters up. Because they were combining both scores and I didn't get a score for the 1st they didn't let me even try to climb the second route which was disappointing s I did speed because I was hoping to be able to climb some which didn't really happen. For some comps they only take the faster of the two times and throw out the slower time so you can still climb even if you fall off the first time. Inside the press booth. It was amazing to see all the people and equipment it takes to run and live stream the competition. 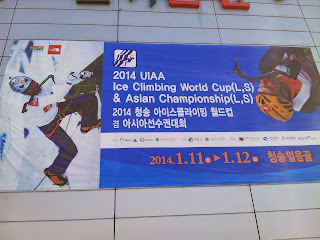 For the finals, the UIAA was looking for someone to help do announcing for the live feed. They needed someone who understood IWC and had experience with it as well as being able to speak English. It just so happened that I fit so I got to sit in the press booth and watch the finals while helping with the commentary. This was the first time that IWC has had commentary/announcing for the live stream so it was neat to be part of that. I don't know if I'll be doing any more in the future but there is a good possibility. 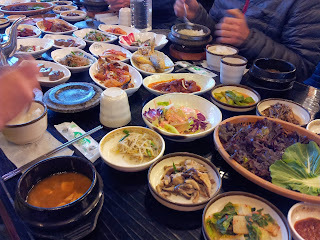 On the bus ride back to Seoul the last activity that they had planned for us was lunch at a traditional Korean restaurant. It was perhaps the most interesting cultural experience I had on this trip. 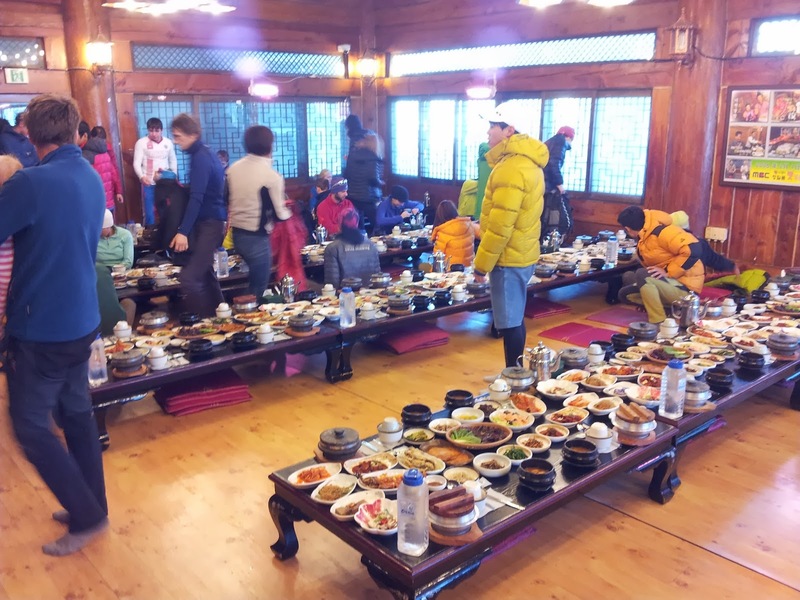 Many of the athletes seemed a bit turned off by the food. While I wouldn't want to do it everyday it was fun ind interesting for me. 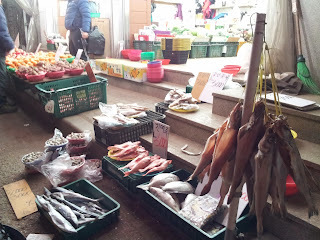 There were a few Koreans who were helping out with the competition who were able to guide us thru what the different things were and how to go about eating them. 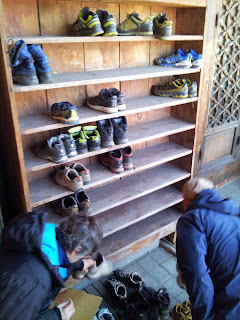 You leave your shoes at the door. Traditional seating on the floor. A large variety of Korean foods. 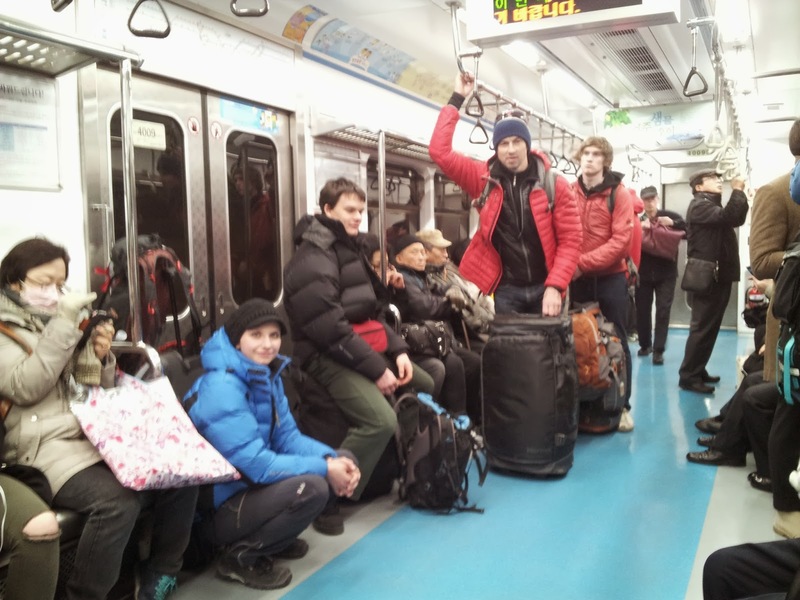 After being dropped off at the bus statuon in downtown Seoul I lead a group of friends to the south part of town to meet up with another friend to do some training at the gym she goes to before heading to the airport. The gym is run by the Korean lead route setter. 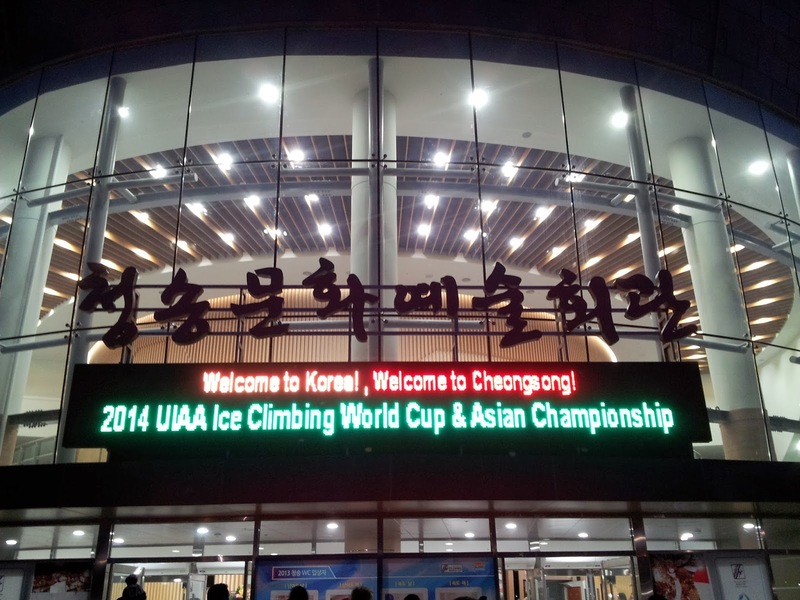 He helped the Lead route setter for the UIAA with the route setting for Cheongsong and did all the setting for all the Korean comps leading up to the World Cup. 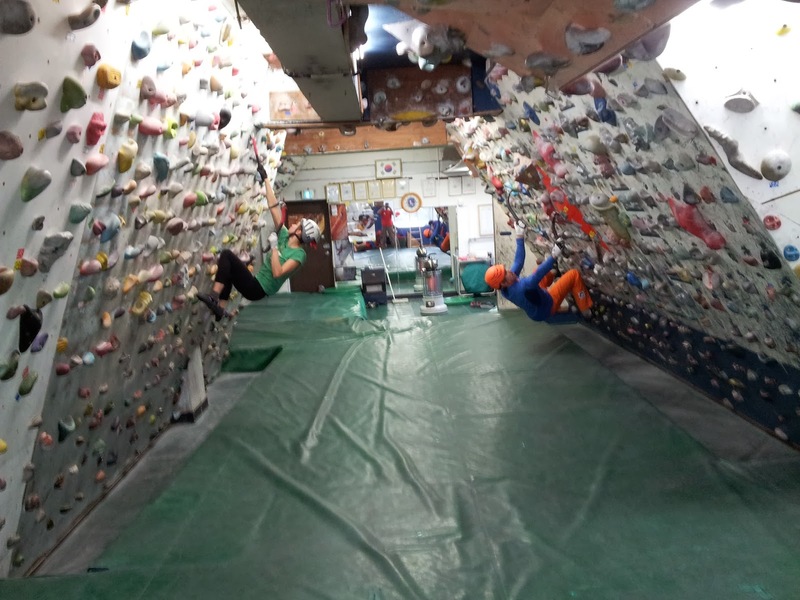 The gym is bouldering style and mainly for rock climbing, but they have a bunch of drytool holds on the wall as well. 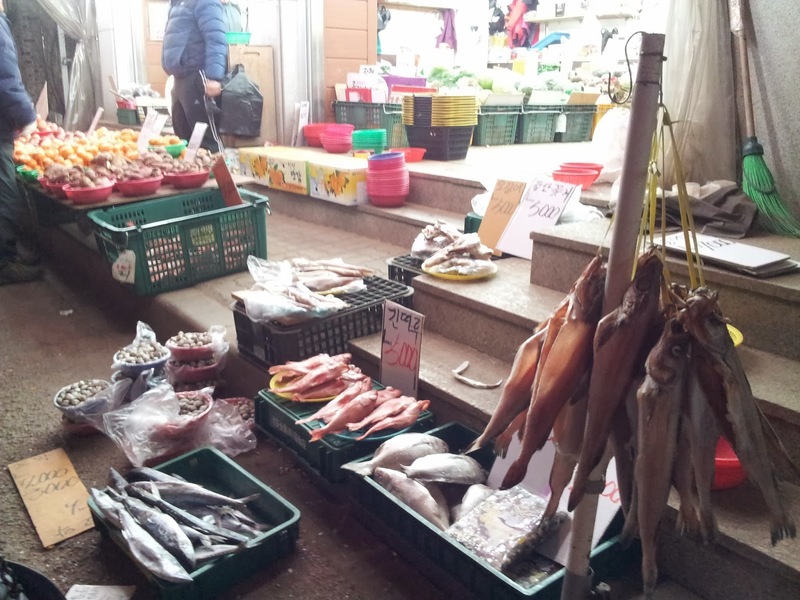 Korean market on the way to the bus station. I am now in Romania. 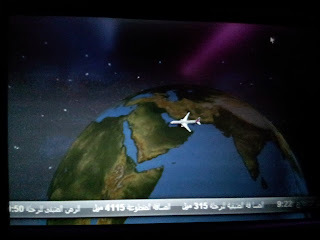 I flew in last night via Qatar. 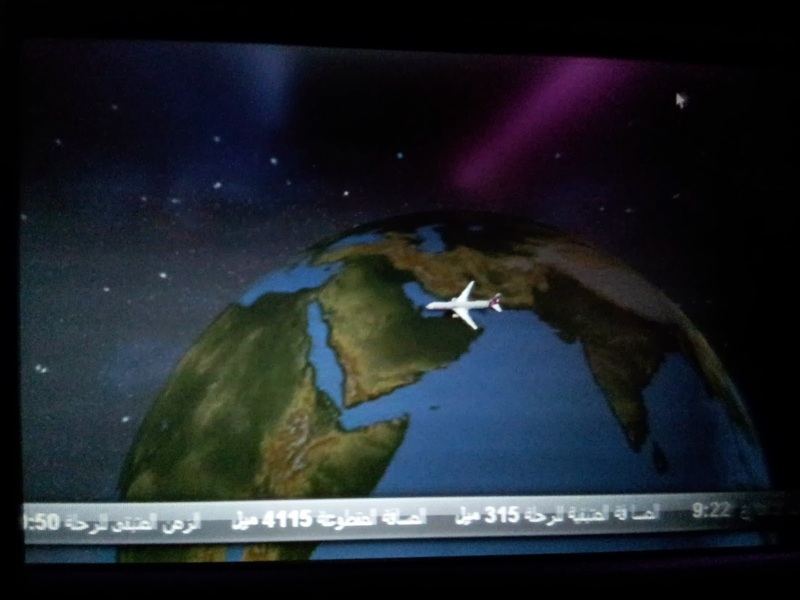 I didn't get to see much but it was really interesting to see the Persian Gulf, Saudi Arabia, Kuwait, and Iraq from the air. Today I pick up some friends at the airport and we drive to Busteni for the next comp.